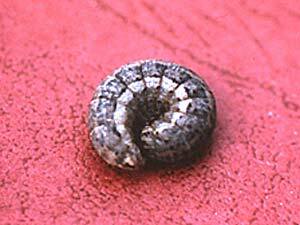 If your garden has been affected by cutworms in the past, take preventive measures. Apply beneficial nematodes to soil just prior to planting. A protective collar of cardboard circling each seedling and extending 2 inches below and above ground is an effective barrier. A band of diatomaceous earth around seedlings may deter egg-laying adults. Cutworms are also vulnerable to predatory insects, including ground beetles and soldier beetles.